Excellent fit. Excellent look. On the R60, very easy to access the lens release tabs under the hood. Pop out the old, pop in the new. If the led does not light, then simply pull off the connector, and reverse it. They look great on my All Black Countryman Nice bright Amber leds. This umbrella keeps you dry even after you close it! 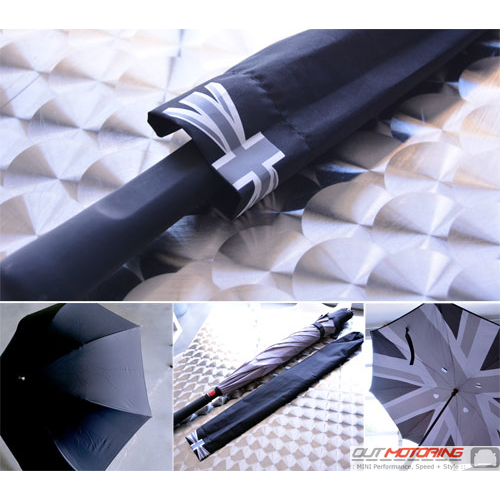 This stylish black union jack pattern umbrella features a unique 'reverse' design in that it opens from the inside out. 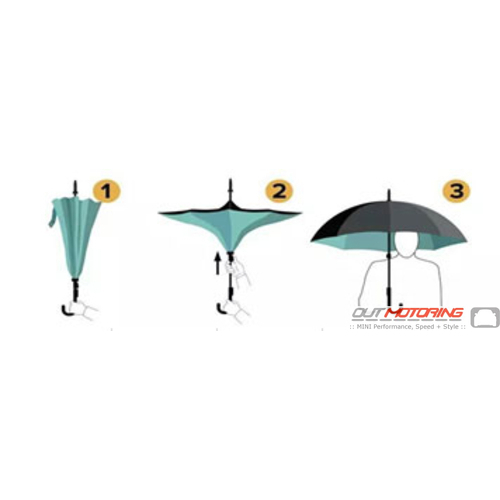 It's super hard to explain with words but check out the small detailed image to see the diagram.The durable design is windproof and can be used as a walking stick when closed. Features a push button to open and a fastening strap with both the logo and a red button to open and a black storage sleeve.